Please visit our final video showing the SecInCoRe research, findings and developed prototypes. 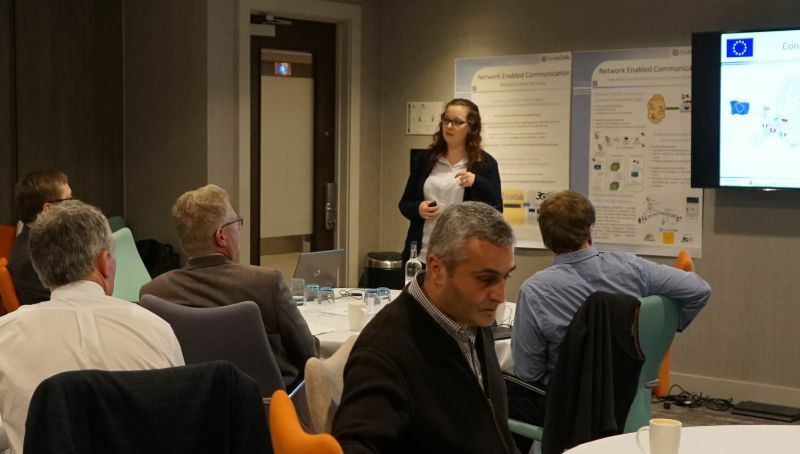 The 3rd and final review meeting of the SecInCoRe project took place from the 23th to 24th of May in Brussels. The consortium demonstrated the SecInCoRe “Common Information Space” (CIS) demonstrator at a whole (including Semantic Search, RescueRoam and www.isITethical.eu). Furthermore, the SecInCoRe team presented future network enabled communication and a table top exercise based on isITethical.eu to raise awareness and experiences issues in governance and use of Common Information Spaces. As a success criterion in European research projects, it was confirmed that all scheduled deliverables were accepted. The consortium will continue its work on its CIS concept in general and all types of elements included. Stay tuned! Together with FP7-projects EPISECC and SECTOR SecInCoRe attented at the Standards4EU CWA kickoff meeting. Terminologies in crisis as well as disaster management were the main topics of this event hosted by CEN. 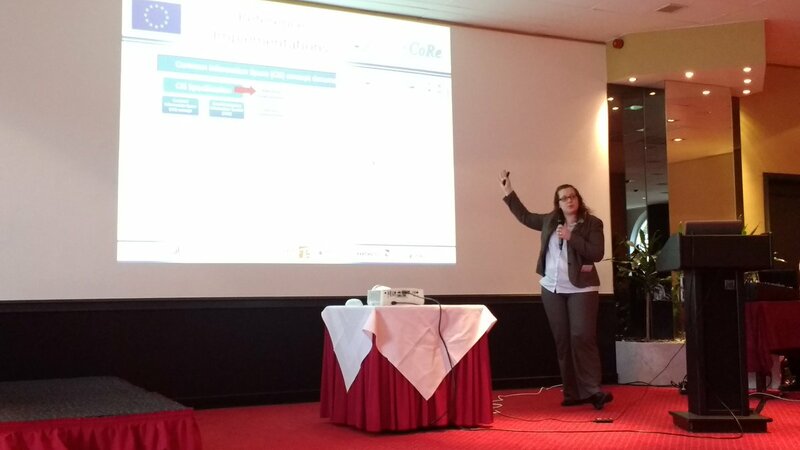 SecInCoRe participated in a joint event with FP7-projects EPISECC, SECTOR and ReDIRNET. Christina Schäfer presented the SecInCoRe CIS concept (see picture below). SecInCoRe as well as the other projects got a lot of excellent feedback through the expert discussions revolving this joint event. This underlines the excellent possibilities joint events bring to the success of projects and SecInCoRe thanks all parties involved! On January 3rd 2017, a validation activity has been organised with a representative of the Italian Civil Protection. The end user was introduced to SecInCoRe concepts and outputs through a combination of conceptual presentations and practical interactions with the SecInCoRe demonstrator. The aim was the collection of feedback on the components identified as targets for validation activities: CIS concept; Collaborative practices; Taxonomy/Ontology and Semantic Search and Knowledge Base/Inventory. The Demonstration Case was organised according to the established methodology and all results will be reported in the final Report on Validation and Evaluation, D5.5. We were glad to collaborate with the Italian Civil Protection. 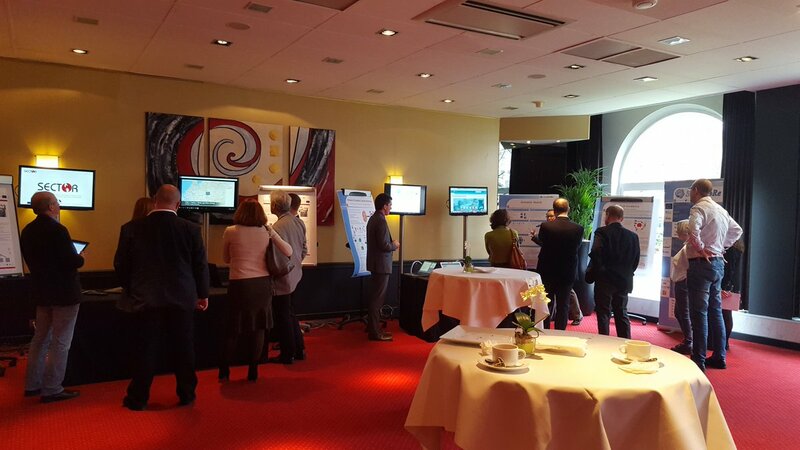 On 25th of October 2016 SecInCoRe Team members engaged with international practitioners to demonstrate SecInCoRe concepts and reference implementations in Paderborn. In addition, validation exercises took pace during the workshop. We were glad to welcome a member of the CNBOP from Poland, a member of the Fire Brigade in Paderborn and moreover a member of the Dortmund Fire Brigade who is also a member of our Advisory Board. In the last Plenary Meeting SecInCoRe set up the plan for the last half year of the project. The last period will feature a final workshop with the Advisory Board and furthermore a Joint Event with all other projects funded under FP7-SEC-5.1.1. The team is highly motivated to conclude the SecInCoRe project with great success after the great results it got to this point!